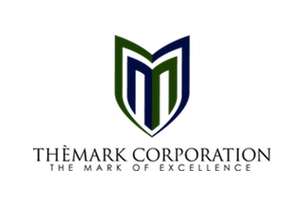 Themark Corporation is dedicated to creating products that improve the relationship between industry and the environment. All products are designed to have little to no negative impact on the environment if applied according to recommendations. They are designed to conserve and improve access to natural resources and protect the sustainability of these resources. We are dedicated to making the world a better place one product at a time and one merger at a time. Themark Corporation owns RecyClean and Firm Foundations that carry consumer based products that are environmentally safe and contribute beneficially to environmental conditions. We manufacture products for large scale and small scale projects depending on need. Themark Corporation provides consulting on product use and improvements on currently used industrial methods that can be made using better chemistry. These slight adjustments have been known to save clients millions of dollars. We also provide merger and acquisition targets to improve existing business models. Get ahead of the game with proven on-site processed frack water recycling for better economics, safety and reduced water consumption. Reduce the cost of stimulation operations and get on-site analysis of results with the Hydro-pod water treatments system. Receive customized filtration solutions for unique geological characteristics of each individual shale formation. Eliminate costs associated with transporting, dumping and storing. Gain access to processing sites across various industries. Get recycled water that meets EPS standards for redistribution back into water shed systems.